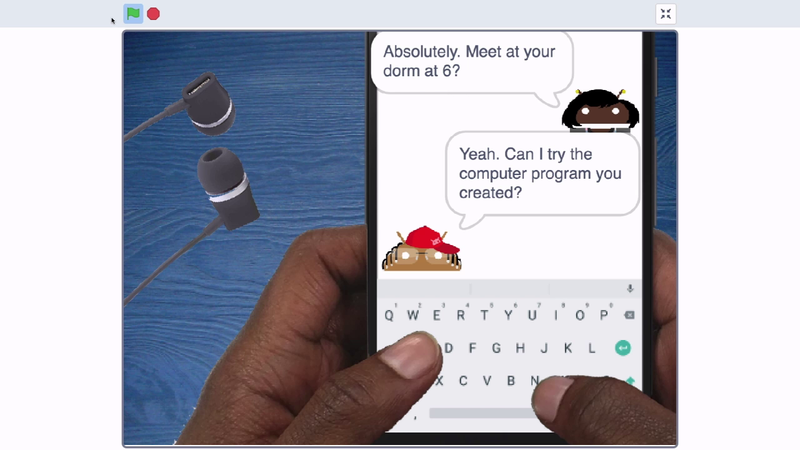 Congratulations on coding the texting story project In this activity you imagined the future of your friendship and created a text message story. You learned about procedures and how to use the make a block button in Scratch to create your own Scratch procedure. You also saw that procedures can save you a lot of time, and code. Computer science can be used to build all types of projects like creating a story, Building a game or making an art project, Or detecting cancer in cells and monitoring health. Check out this video about the different uses of computer science. As we're growing up, we're usually told that there's a very distinct separation between fields: design, art, engineering, business. And sometimes you may not know what you want to do or sometimes you want to do all of them. I am Ayah Bdeir, I'm the founder and CEO of LittleBits. I am an engineer and an interactive artist. We are at LittleBits headquarters in New York City where we are designing electronic building blocks for everybody to be able to invent with. We want to show you that small things can make very big things happen. There is a very distinct moment where you snap them and you realize that was all you and it's magical and suddenly a world opens up to you and these ideas start rushing into your head. That's the same moment that happens when you're coding. When you put your first few lines of code together and suddenly it says hello world, that moment is undescribable and it gives you such empowerment and such confidence. Everyone wants to play, everyone wants to invent, everyone wants to create and code really allows you to do that. It doesn't matter whether you're a girl or a boy, it doesn't matter whether you're six or 22, all of us have these same tools available to us and code is a very powerful one of them that can enable you to do whatever you want to do better. Today, and in the future, you have the chance to design the world around you through code. Tell your own story, build your own game or show off your personality to the millions of users on Scratch. And today you learned skills that will help you along the way. Imagine what your future looks like, what role could computer science can play in it? Until next time, have fun coding.